Should your retirement plan be to work longer? Here’s the good news: we’re living longer. And here’s the bad news: we’re living longer. According to the Society of Actuaries, Americans who reached age 65 in 2011 are projected to live another 21 years to age 86, on average. If these same Americans reach age 86, their life expectancy would extend to age 93! As a result, the U.S. population aged 65 years and older is growing rapidly. In 2010 (the most recent year for which data is available), older Americans comprised 13 percent of the population. But as baby boomers creep up in age, population projections for those over 65 explode within two decades. In 2030, older adults are expected to number 72 million, almost 20 percent of the country’s total population. While 75 may be the new 55, there are some significant ramifications of the population boom. Whereas previous generations could plan on retirement lasting 10 or 15 years, today we have to count on 25 or 30 years, making the task of saving enough a mighty difficult one. When most people think about retirement planning, there are three basic strategies: save during your working years; spend less in retirement; and delay the age of retirement. While saving early and consistently is the oft-prescribed remedy, it’s not always easy to implement. In fact, pre-financial crisis retirement planning often consisted of relying more on an increase in home equity and a steady rise in investment accounts, than on increasing contribution levels. But the financial crisis and Great Recession of 2008-2009 blew up those assumptions, forcing some to reduce or abandon contributions and in extreme cases, to spend down a substantial portion of their nest eggs to survive. 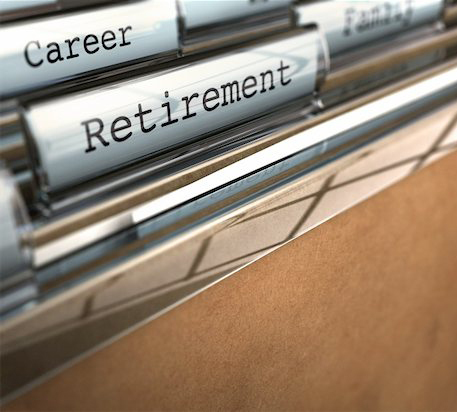 These folks are looking at ways to squeeze their current and future expenses, but many have determined that the only way they will be able to fund a lengthy retirement is to work longer. According to a recent Associated Press poll, 82 percent of working Americans over 50 say it is at least somewhat likely they will work for pay in retirement, and 47 percent of working respondents now expect to retire later than they previously thought. Respondents plan to call it quits at about 66, or nearly three years later than their estimate when they were 40. Given what has transpired over the past five years, those results should not surprise anyone. Among those who report retiring before the Great Recession, the retirement average age was 57, while the average for those who retired after the crisis is 62. The dramatic turn in financial circumstances, combined with living longer and healthier lives, has led many to remain in the workforce. According to the U.S. Bureau of Labor Statistics, about 18.5 percent of Americans age 65 and over were working in 2012, almost 8 percentage points higher than in 1985, when just 10.8 percent of Americans over age 65 were still at work. By 2020, an estimated one-quarter of workers will be 55 or older, up from 19 percent in 2010. But just because you want to work, does not mean that you will easily get a job. The AP poll found that 22 percent of adults, age 50 years and older have searched for a job in the last five years. Of that group, over half have found the job search to be moderately or very difficult. With 11.3 million Americans seeking employment, the competition is obviously stiff. In fact, a third of retirees told AP that they did not feel they had a choice except to retire. They may have wanted to work longer, but without steady income, they were forced to file for Social Security benefits early. Although doing so permanently reduced their benefits, a lower monthly check is far better than no check at all. One glimmer of hope is that as the recovery continues, more jobs will become available and as the folks in charge of hiring examine the applicant pool, they may find that a robust 55 year old will be a more appreciative and loyal employee than a younger counterpart.